Karan always knew that Symbiosis would be a start of something beautiful. 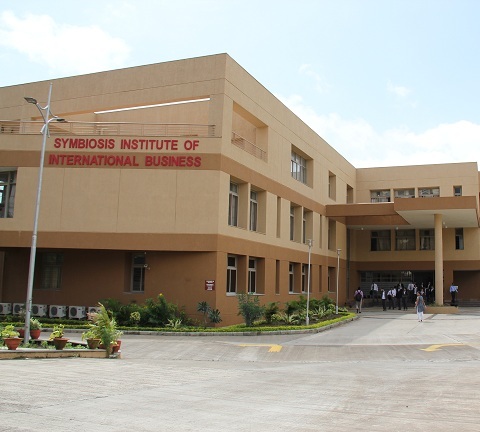 The day is still afresh when he first came to Symbiosis Institute of International Business, Pune for his GD/PI . As they say – “ It might take a year, it might take a day, but what’s meant to be will always find its way “ . 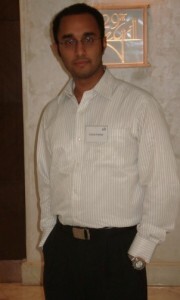 And he made it to the top merit list of SIIB – MBA – IB stream for batch of 2008-2010 . The SIIB campus at Hinjewadi was the best learning place one could ever think of. The beautiful manicured lawns, the sheer energy on the campus, the joy of living in a hostel and the B-school life that waited ahead – it was a perfect recipe for success, hard work , networking and above all the best 2 years once can ask for. With having a prior work experience of close 1.5 years this B.Tech – Computers graduate from the prestigious State Technical Campus , Ferozpur , Punjab (http://www.sbsstc.ac.in/ ) had tasted a bit of the working life in the sales and marketing experience at PMP Consulting ( part of the global major TRW group – http://www.trw.com/ ) . But, this journey was going to be a roller coaster of sorts and he could sense it coming. The now alumni, batch of 2008-2010, Karan gave in 100% to whatever he did at SIIB. The institute offered so much to him that he literally had his plate full. From the best faculty ranging from Prof.Godbole, Ms.Asmita Chitinis , Ms.Viraja Bhat , Ms.Adya Sharma & Mr.Avinash Purandare & a host of leading guest faculties lead by Dr.Rajani Gupte he learnt the tricks and trades as he calls of the trade and those of a leading B-School . “ The classes were fun and so was the entire campus . First year folks lived at the famous -D Hostel and most of their time was spent on campus. The lectures , presentation , groups & occasional road side hopping for a quick bite of the ‘ dabeli’ and the long schedules made me realized of what was coming in the actual corporate world .The AMR presentations under Prof.Godbole were an experience beyond words & each of the subject classes had immense learning hidden ,” says Karan . A particular thing he liked and cherished abou SIIB was the Spanish course under Ms.Sonia Altekar. “This is really exceptional. Learning a foreign language is no child’s play especially when you know it will be ON for three semesters. At times, I used to think why in the world am I doing this . But , Sonia ma’am is a faculty beyond words. She is mentor a friend and a guide. The classes were fun and at the same I fell in love with the language. The exams were always stressful for me but still I managed to sail through,” says Karan . Second year is truly the life building year . At that time , SIIB new campus was WIP ( work in progress ) and hence the second year campus was the main building . “ It’s beautiful and divine . With hostel room views that face the mountains who would want to study . I was lucky to have two amazing roommates- Rakesh & Anshuman with whom I had rolling time . The campus was quick and easy since you needed to just walk across the academic building and attend the classes. Everything was ‘on campus ‘ and it was fun. Late night walks around the campus area were an added delight,”says Karan. Having given to chance to lead the SIIB is bimonthly Emagazine , participate in the SIIB leadership series , and assist the alumni and the placement teams were the perfect grooming ground for Karan to develop his leadership and networking skills. Guided by the great saying – “Every exit is an entry somewhere else “ ,the turning point in Karan’s life came during the placement season for the batch of 2008-2010 . “Day 0 company Citibank came to our campus a day before the third semester exams were to start . It was and will be always be a special day in my life. After a grueling 5 stage Citibank process and a close 80% of the batch applying for the same at 2am in the night 5 of us made it through . My first corporate job with a brand that is 200 years old and it was a dream come true . Getting placed in the third semester was always a dream since you get to enjoy the final steps before your stepping out. It was the blessings of my parents, elders and faculties and the best wishes of my peers that I became one the first members to be placed on campus,” says Karan. Citibank India has been a great place to work , refine and lead for Karan . “With just under four years and into my second role it’s given all that I could have asked for . I learnt the tough side of the consumer banking business wherein I met with the top UHNIs / HNIs of Delhi / NCR and learnt about the entire gamut of investment planning and financial solutions. My current stint where I lead the marketing for the most talked & used Citibank product – credit cards , has given me the exposure to be a part of a global central team and have cross functional connects with colleague both in India and abroad . Citi gives one a learning ground and its up to the individual how to take it and lead ahead,” says Karan . Having won all possible accolades and still striving for more at Citibank India, Karan recently got featured by Hindustan Times for their much coveted series – Corporate Curry – wherein he featured as Gurgaon’s Most Talented Corporate Executive. 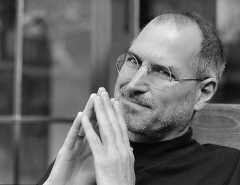 His advise to young managers and potential business leaders of tomorrow – ‘It isn’t sufficient just to want – you’ve got to ask yourself what you are going to do to get the things you want.’ – Richard D. Rosen. Karan is an active writer, reader , blogger who loves to share his thoughts on leadership ,marketing , business and also has an active interest in astrology and the world of occult sciences. Whenever free he spends time by connecting and meeting with people , playing lawn tennis or just having a jog down the road.